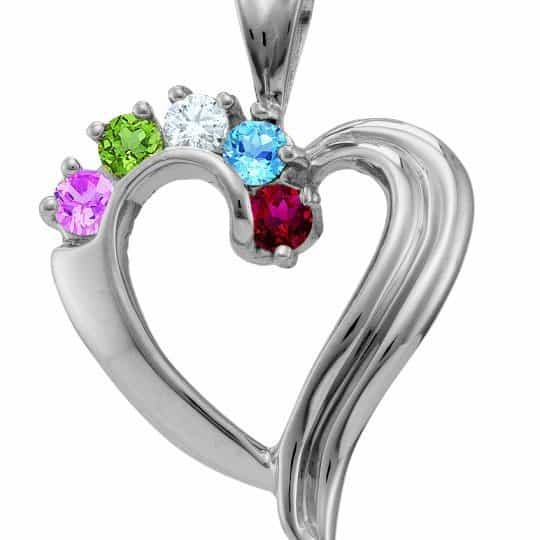 Mom’s heart is filled with love – now she can show everyone her love for her family with this lovely mother’s necklace. 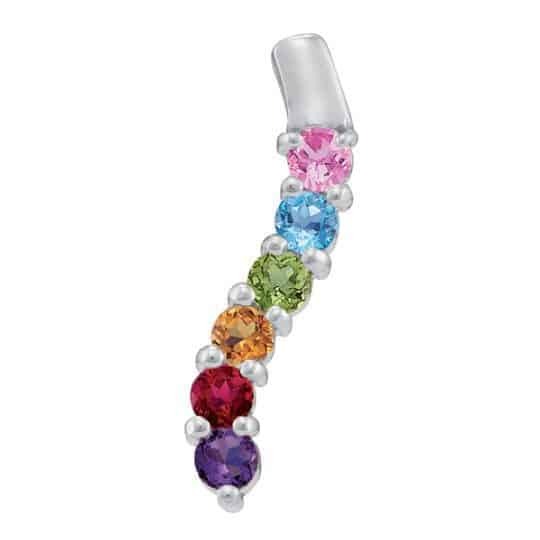 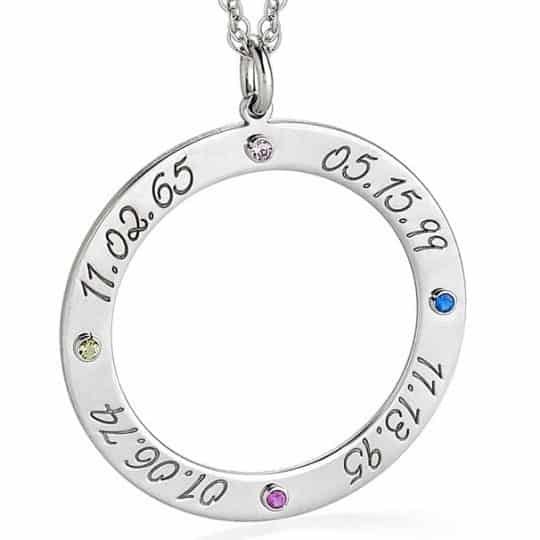 Features the name of up to 5 loved ones along with their birthstones. 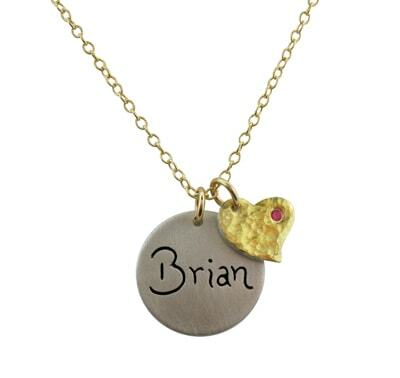 Also available in 14k gold plate – Click here to see gold necklace.